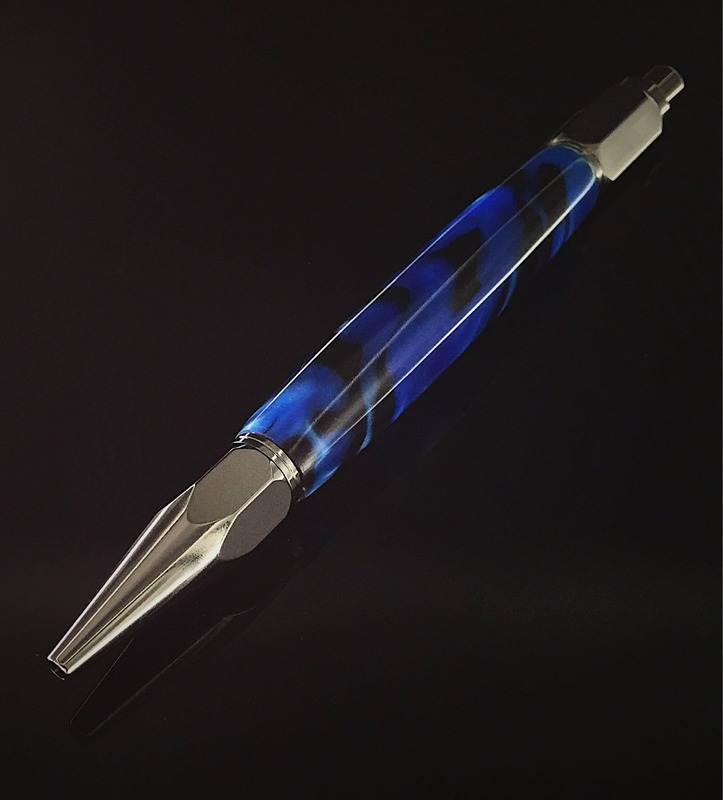 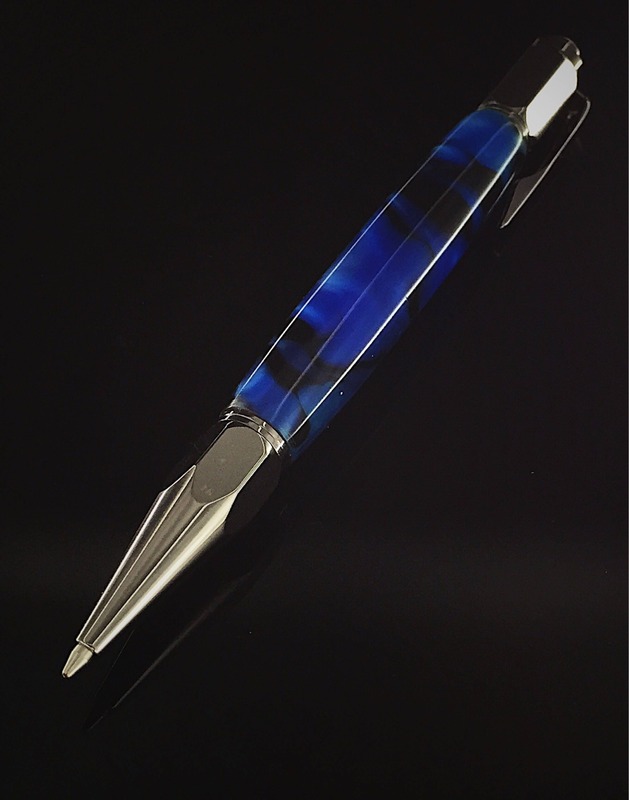 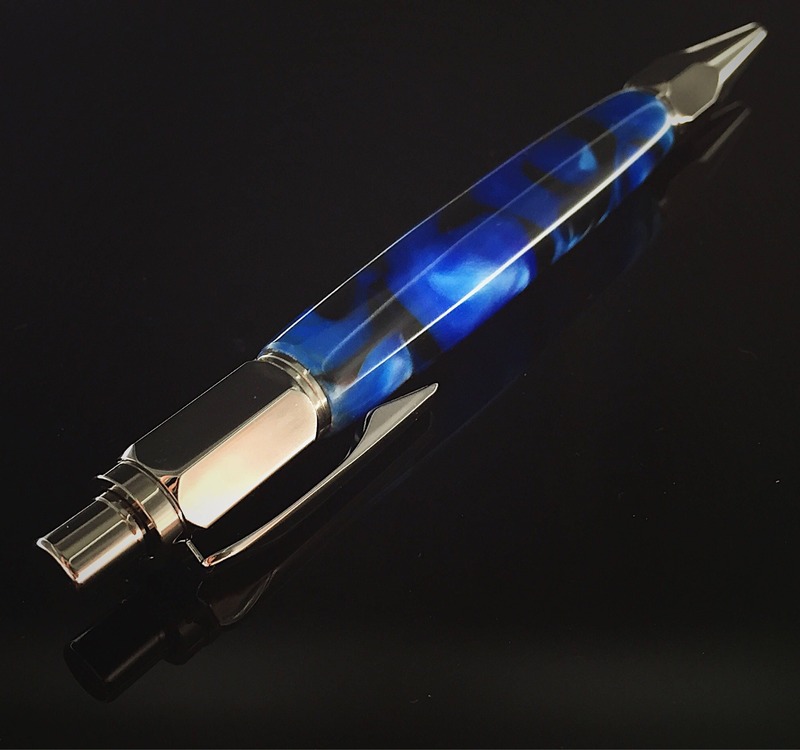 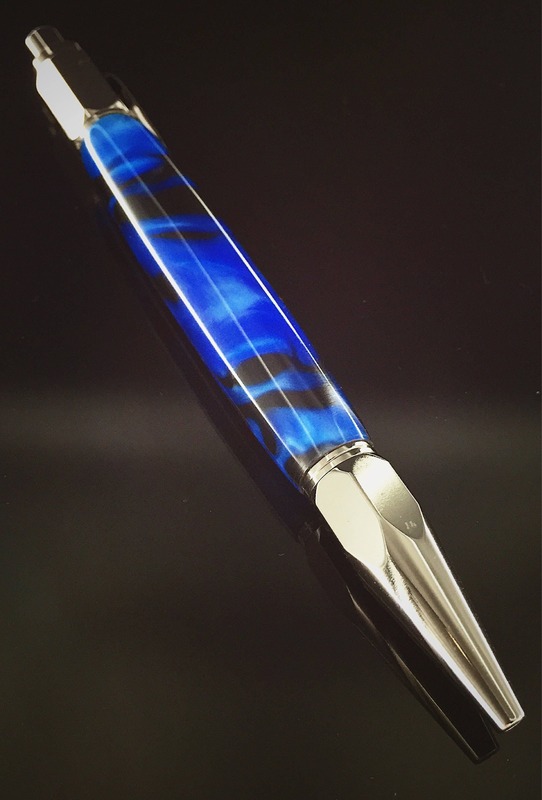 Beautiful handmade black and blue resin pen. 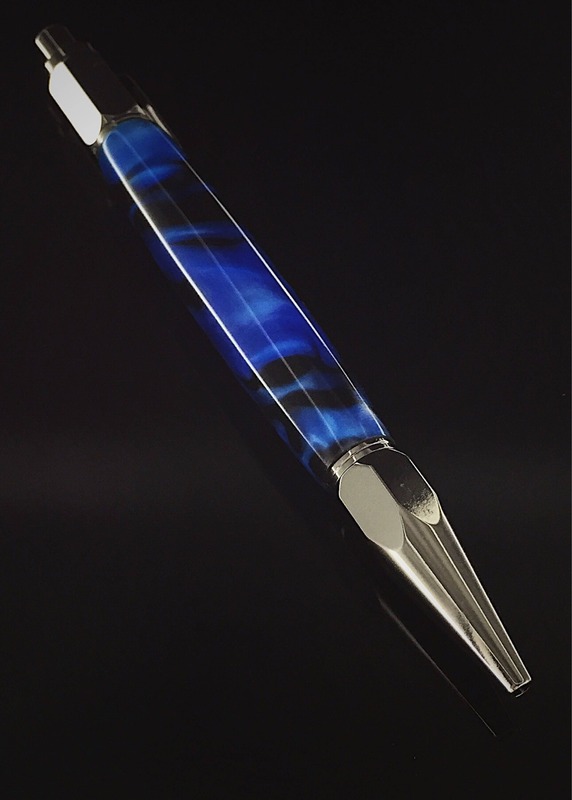 Very cool pearl / iridescent appearance. 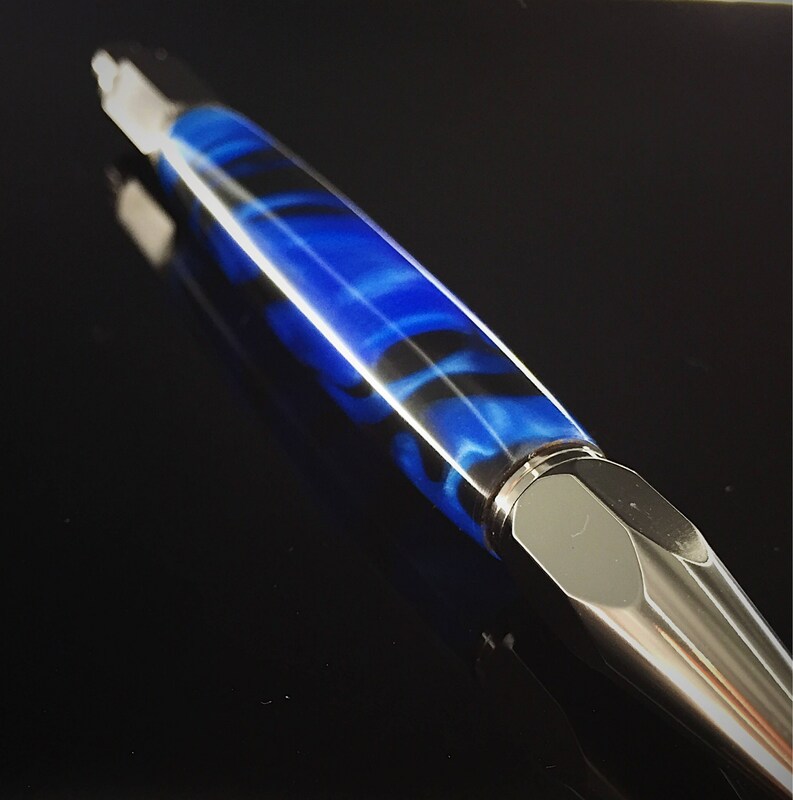 Writes like a dream, and accepts standard disposable cartridges. 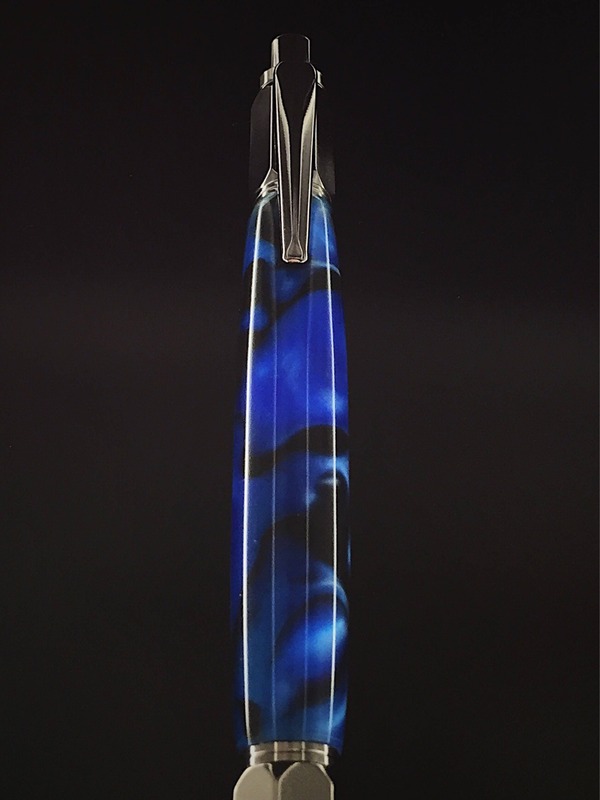 Nice and heavy weight.